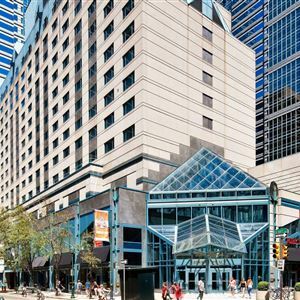 Property Location With a stay at The Westin Philadelphia, you'll be centrally located in Philadelphia, walking distance from Rittenhouse Square and close to Kimmel Center for the Performing Arts. This 4-star hotel is within close proximity of Franklin Institute Science Museum and Reading Terminal Market. Rooms Make yourself at home in one of the 294 air-conditioned rooms featuring minibars and flat-screen televisions. Your pillowtop bed comes with down comforters. Premium TV channels and video-game consoles are provided for your entertainment, with wired and wireless Internet access available for a surcharge. Bathrooms have rainfall showerheads and designer toiletries. Amenities Take advantage of recreation opportunities such as a fitness center, or other amenities including wireless Internet access (surcharge) and concierge services. Additional amenities at this hotel include shopping on site, wedding services, and a television in a common area. Dining Grab a bite to eat at the hotel's restaurant, which features a bar, or stay in and take advantage of 24-hour room service. Quench your thirst with your favorite drink at a bar/lounge. Cooked-to-order breakfasts are available for a fee. Business, Other Amenities Featured amenities include wired Internet access (surcharge), a 24-hour business center, and express check-out. 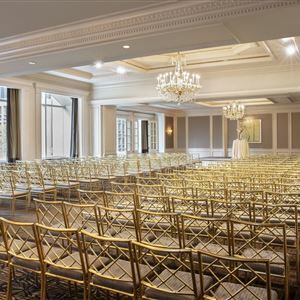 Planning an event in Philadelphia? This hotel has 16600 square feet (1542 square meters) of space consisting of a conference center and meeting rooms. Self parking (subject to charges) is available onsite. With a stay at The Westin Philadelphia, you'll be centrally located in Philadelphia, walking distance from Rittenhouse Square and close to Kimmel Center for the Performing Arts. This 4-star hotel is within close proximity of Franklin Institute Science Museum and Reading Terminal Market. Make yourself at home in one of the 294 air-conditioned rooms featuring minibars and flat-screen televisions. Your pillowtop bed comes with down comforters. Premium TV channels and video-game consoles are provided for your entertainment, with wired and wireless Internet access available for a surcharge. Bathrooms have rainfall showerheads and designer toiletries. Take advantage of recreation opportunities such as a fitness center, or other amenities including wireless Internet access (surcharge) and concierge services. Additional amenities at this hotel include shopping on site, wedding services, and a television in a common area. Featured amenities include wired Internet access (surcharge), a 24-hour business center, and express check-out. Planning an event in Philadelphia? This hotel has 16600 square feet (1542 square meters) of space consisting of a conference center and meeting rooms. Self parking (subject to charges) is available onsite.